11) Frozen Ever After – Moving clockwise around World Showcase, the next pavilion guests will encounter celebrates the beauty and diversity of Norway. The Norway Pavilion is home to the popular Akershus Royal Banquet Hall and the beloved School Bread snack in addition to an amazing attraction that cannot be missed. 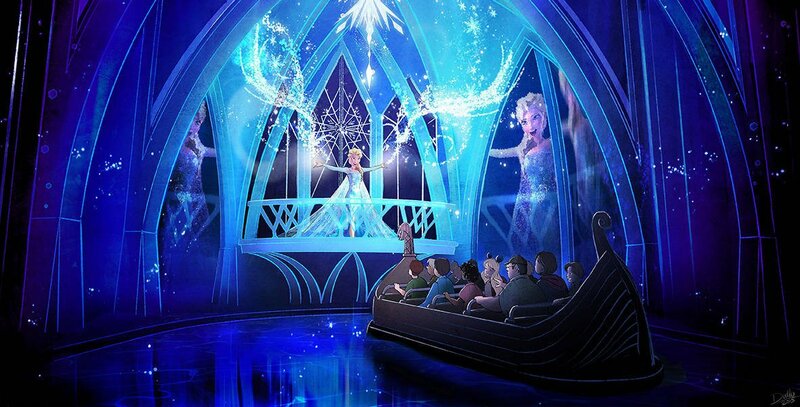 Frozen Ever After is located in the rear of the pavilion and invites guests to enter into the kingdom of Arendelle where Anna and Elsa from the hit film Frozen are hosting a summer celebration. Guests can enjoy favorite moments and characters from the film including Olaf, Sven, Kristoff, and Marshmallow, but the highlight comes when guests spot Elsa on her palace balcony belting out the classic “Let It Go.” With family friendly fun, several small but thrilling drops, and songs for every guest to sing along to, Frozen Ever After is an experience that guests cannot miss in Epcot’s World Showcase. It is also a great option for a FastPass as the line can be lengthy on busy days in the park.